We’re in the midst of a long, sustained drought that’s been unfolding for the past several years. 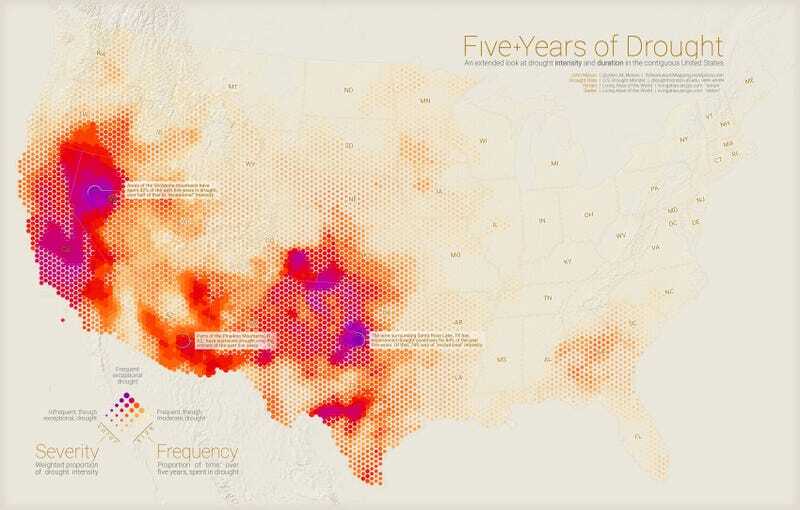 But just how hard has that drought hit in different parts of the United States? This maps shows exactly. Seen in one shot like this, it’s easy to see that the drought has, unsurprisingly, hit the lower Pacific Coast and the Southwest the hardest. But the Midwest and lower East Coast are also feeling the dryness of the last five years, both in terms of lack of water and in how long it’s lasted.